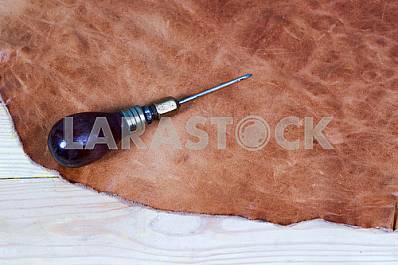 Description Leather craft tools on a wooden background. 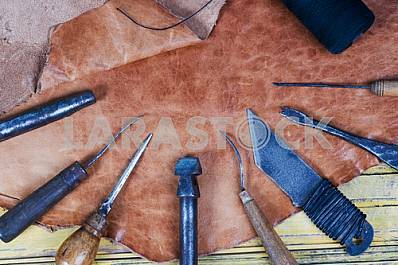 Leather craftmans work desk . 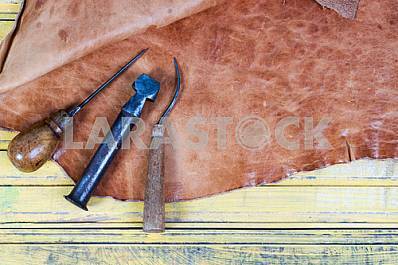 Piece of hide and working handmade tools on a work table. 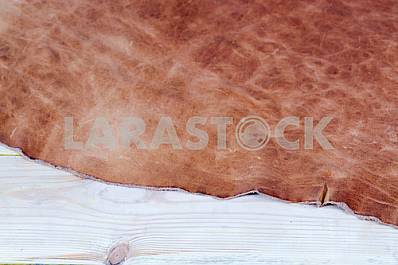 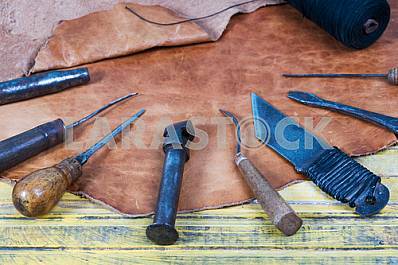 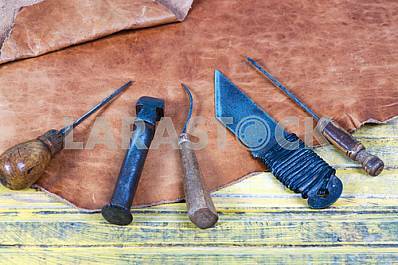 Description: Leather craft tools on a wooden background. 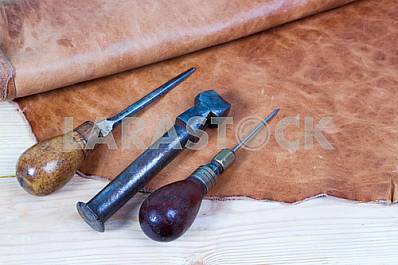 Leather craftmans work desk . 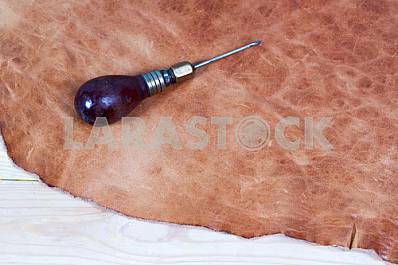 Piece of hide and working handmade tools on a work table. 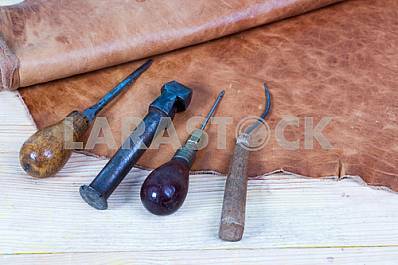 Image Description: Leather craft tools on a wooden background. 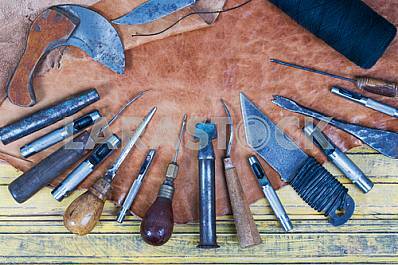 Leather craftmans work desk . 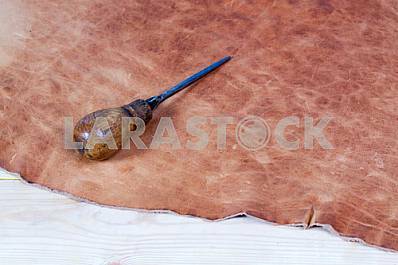 Piece of hide and working handmade tools on a work table.